I can't say enough nice things about the Volvo 240. And this is entirely true because I'm afraid that if I say something bad about the 240 that DT's CFlo will run me down in a crosswalk with one of the dozen or so boxy Volvos that litter his driveway, yard, street, and surrounding community. So anyway, they are the bestest cars that notalotta money can buy but even MORE better when powered with a Ford V8. 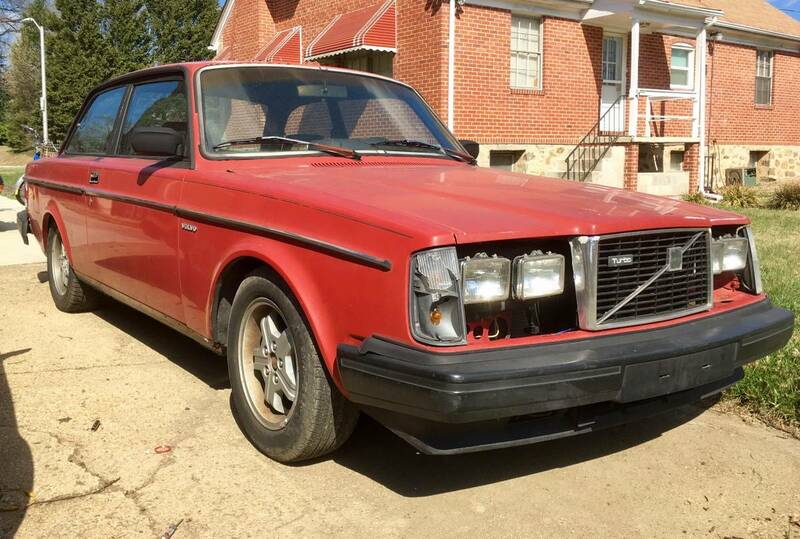 Find this 1982 Volvo 242 GLT V8 Swap offered for $3,500 in Baltimore, MD via craigslist. The isn't a mint condition original owner survivor -- its probably been ridden hard and put away wet for many decades...BUT the original boat anchor 4-banger is long gone and the fun starts with heavy application of the throttle pedal! 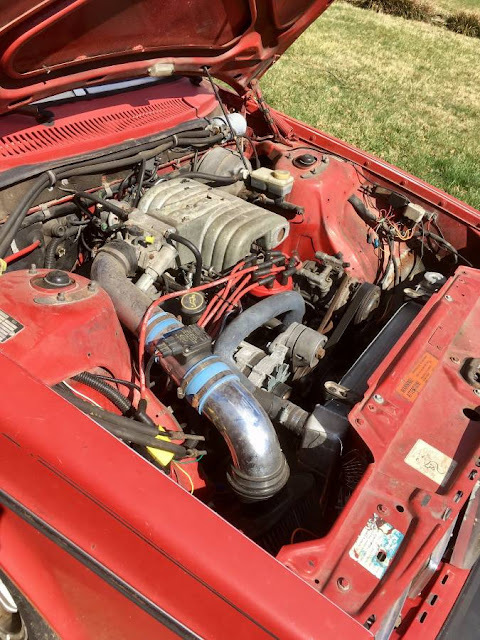 That crusty thing under the other crusty metal part is a 5.0 Ford V8 from a 1993 Mustang GT, which would have been rated at 205 horsepower and 275 ft-lbs of torque. 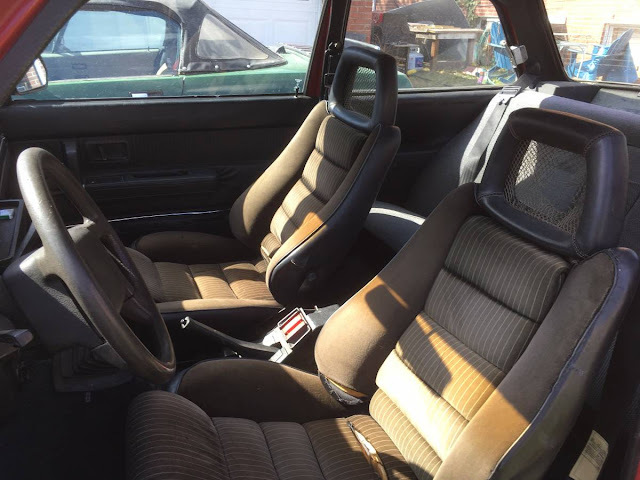 On the inside are "partially installed" Recaro seats from an Alfa Romeo GTV6 making this one strange Frankenstein's monster. If the seats are only "partially installed", I would wonder if the same applies to the motor. Wife sez: Get that POS out of the driveway...NOW!